We will look at social impact projects across the spectrum, from governmental projects, to independent solutions, to healthcare and more. 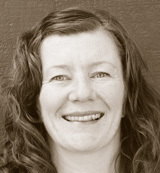 Gretchen is a member of the program committee for the inaugural O'Reilly Design Conference, taking place in San Francisco January 20-22, 2016. Gretchen Anderson spent the first part of her career in design consulting for firms like frog design, Cooper, and Punchcut. For the past three years she has served as the VP of Product for GreatSchools, a national non-profit that helps parents get their kids a great education. Gretchen oversees design, product management and engineering and loves the challenge of helping design permeate an organization, not just products.